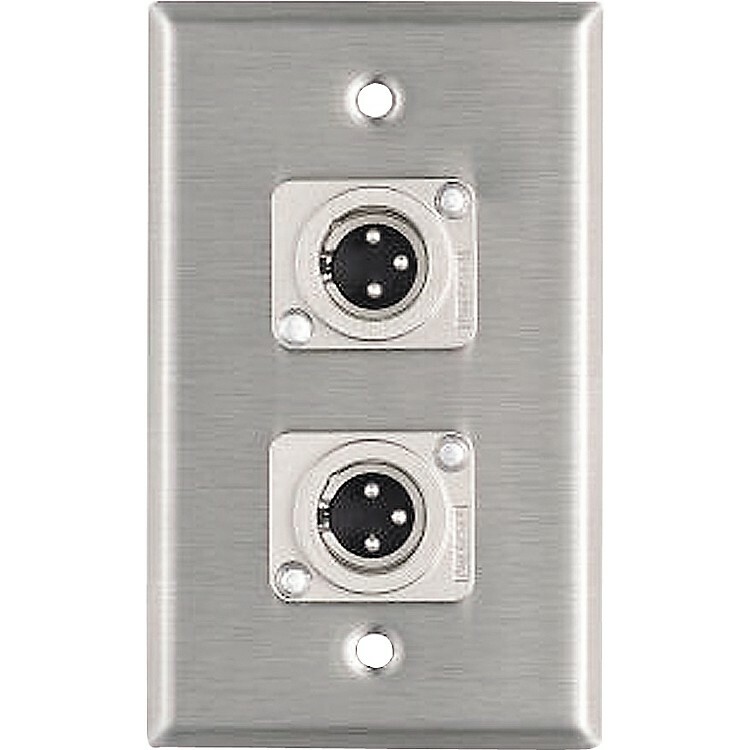 The Pro Co WP1008 is a loaded, one gang stainless steel wall plate featuring two male XLR connectors. Whether you're adding a vocal booth to your home studio or putting together your own pro facility this Pro Co wall plate is a cost-effective solution. Eliminate wires running under doors – order a Pro Co wall plate today.